Our truckload freight services are available to large and small businesses. We offer our truckload shipping services through dry vans to destinations throughout all 48 states. We understand that time and reliability are critical needs for your business and we’ve designed our business model to support these needs. Our dedicated fleet service is like having your own in-house trucking fleet without the liability and expense of maintaning a fleet of trucks. With dedicated transport shipping services from JMB Express Trucking, you can avoid complex logistics problems, rising costs of transportation equipment, and be flexible to scale your fleet based on your current shipping needs. We can dedicate a single driver to your company or provide an entire fleet of trucks of all sizes to meet all of your shipping needs. 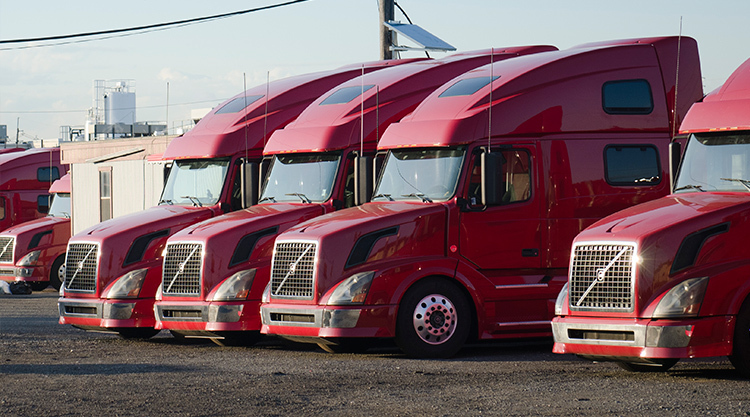 No matter the size of the shipment, truckload or partial truckload, you can rest assured that our dedicated transport and shipping services will safely deliver your shipment on-time. We offer competitive truck freight rates on any shipping lane, helping you increase your profit potential on every truckload. Truckload shipping is one of the most efficient transport methods, and we understand that reducing your freight shipping costs can drastically affect your bottom line. Time is money. Call us today for a no hassle quote on our truckload shipping.